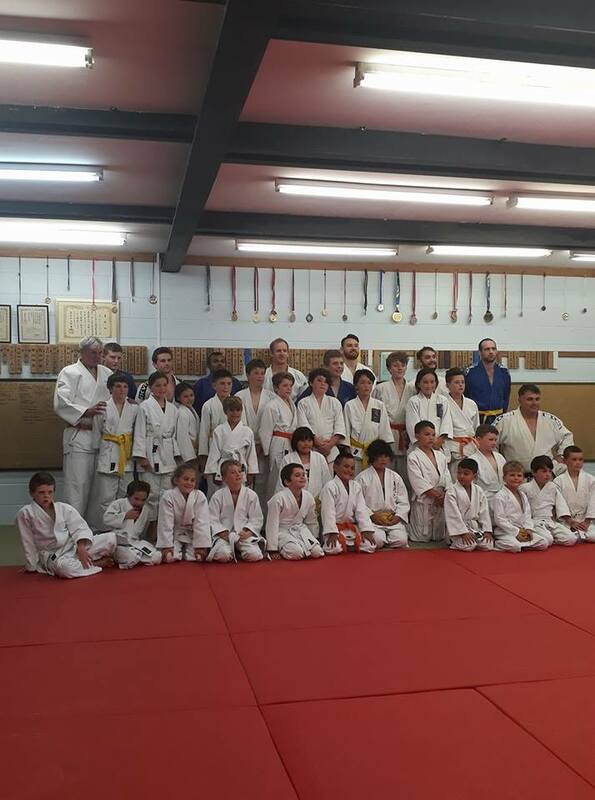 This weekend we had our first Big Judo technical workshop. It was a big step. 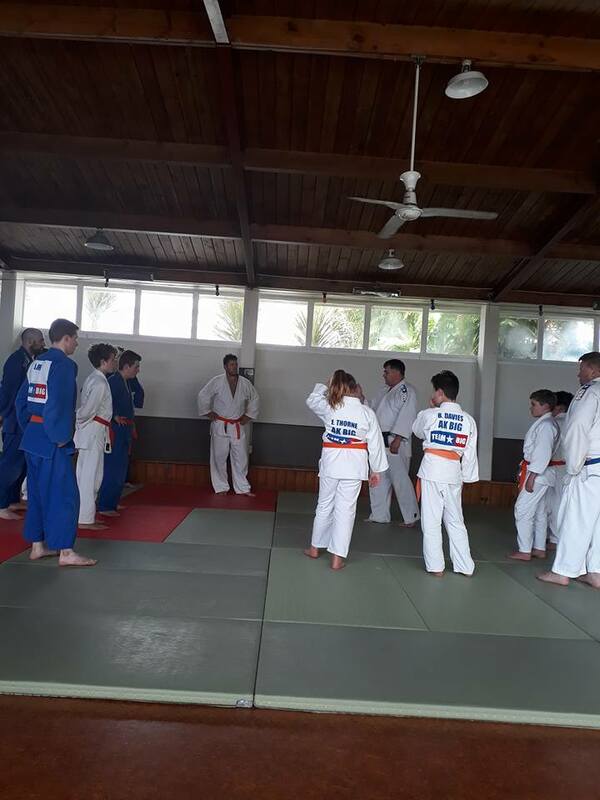 We now have a number of Orange Belts and the objective of this workshop was to bring them up to speed on both our curriculum and on the National Syllabus. This means that we have both consistency with the National Syllabus so that when they look at senior gradings they have a good knowledge base. More importantly it allows the adults and kids from our two dojos to come together and benchmark their skills. The crew lined up for the debrief at the end. Ben and Nellie hot and tired at the end. Being an instructor can be pretty lonely at times especially when you are evaluating gratdings. Recently found some old school Judo Vision videos on Youtube. Really interesting. Been watching Ray Stevens. His transition from stand up to the ground is really good watch this video is one example. There are lots of others. 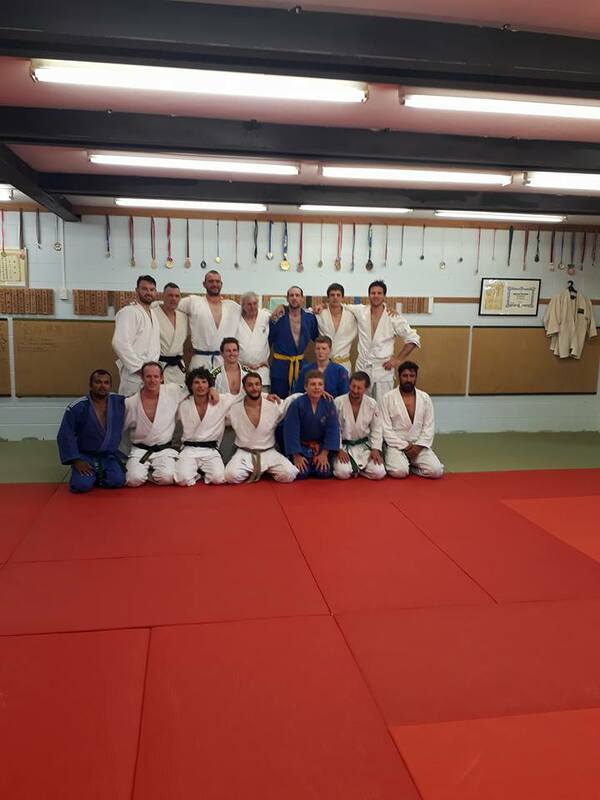 On Sunday 5 December 2017 Big Judo visited University. We visit at Christmas each year. 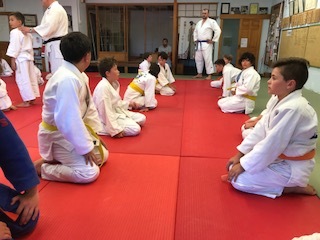 It is good for the kids to see the Dojo where most of the Big Judo instructors learnt their Judo. The kids had a great day doing lots of randori and finishing with a batsugan (or line up contest) . Then the adults competed in the annual competition. 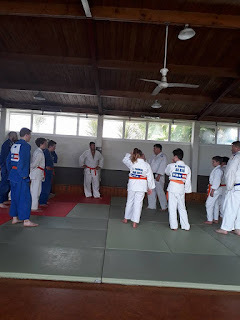 Big Judo and University kids bow before having some practice fights on the ground. Kids from both clubs at the end of the day. Rick on the left and Ben on the right. 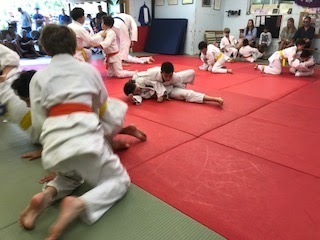 Straight after the kids finished the adults from both clubs and a few from Auckland Brazillian Jiu Jitsu 'duked it out'. There were some good fights and everybody had a great time. 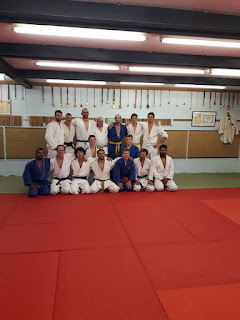 Adults from both clubs who competed.